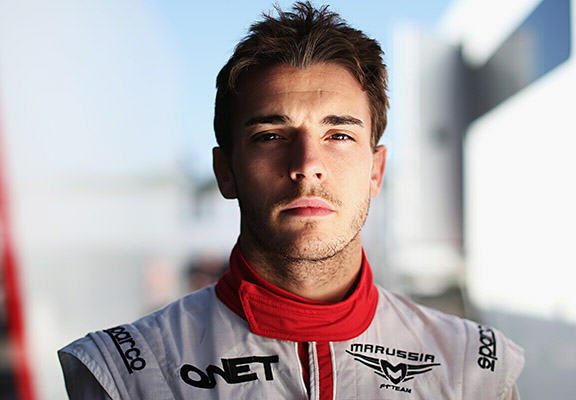 French Formula 1 driver Jules Bianchi has died, nine months after he suffered severe head injuries in a horrific crash at the 2014 Japanese Grand Prix. The 25-year-old had been in a coma since crashing his Marussia car into a recovery vehicle at the rain-hit race last October. Bianchi, who had suffered a diffuse axonal injury, died in hospital near his parents’ home in Nice in the south of France. Jules fought right to the very end, as he always did, but today his battle came to an end. We thank Jules’s colleagues, friends, fans and everyone who has demonstrated their affection for him over these past months, which gave us great strength and helped us deal with such difficult times. Listening to and reading the many messages made us realise just how much Jules had touched the hearts and minds of so many people all over the world. Words cannot describe the enormous sadness within our team this morning, as we come to terms with losing Jules. He has left an indelible mark on all our lives, and will forever be part of everything we have achieved, and everything we will strive for going forward. The Frenchman was considered one of the most promising drivers in Formula 1, leading the exciting new generations of racers. Competing for a struggling team, Bianchi frequently proved his significant potential, routinely producing performances that would not normally be expected from his car. There were a number of impressive drives from Bianchi, the best of which was his ninth place finish in the Monaco Grand Prix in May last year. Today, tributes have poured in for Bianchi as the F1 and sport world mourns the passing of one of its brightest stars, gone far too young. No words can describe what his family & the sport have lost. All I can say it was a pleasure knowing & racing you.